Right after the Rose Bowl we shared with you a special sketch created by Disney animator Paul Briggs. The sketch was of the Pride of Oklahoma during their trip to Pasadena. The story goes that the band held rehearsal before the game somewhat near the Disney offices. Briggs heard them practicing and decided to go and check them out. While at practice he took out his sketch book and created this very cool depiction of the band and it's members as he would draw for a Disney movie. Briggs is Disney's Animation Director and was the story supervisor for both Frozen and Big Hero 6. It's safe to say that he's a big deal in the Disney world. Due to the overwhelming excitement about the sketch on social media from our fans, which was shared over 2,400 times on facebook alone, Briggs connected with us to chat about giving fans a chance to get a copy. He agreed to put it up for sale and he also agreed to send a portion of each sale to the Pride of Oklahoma! 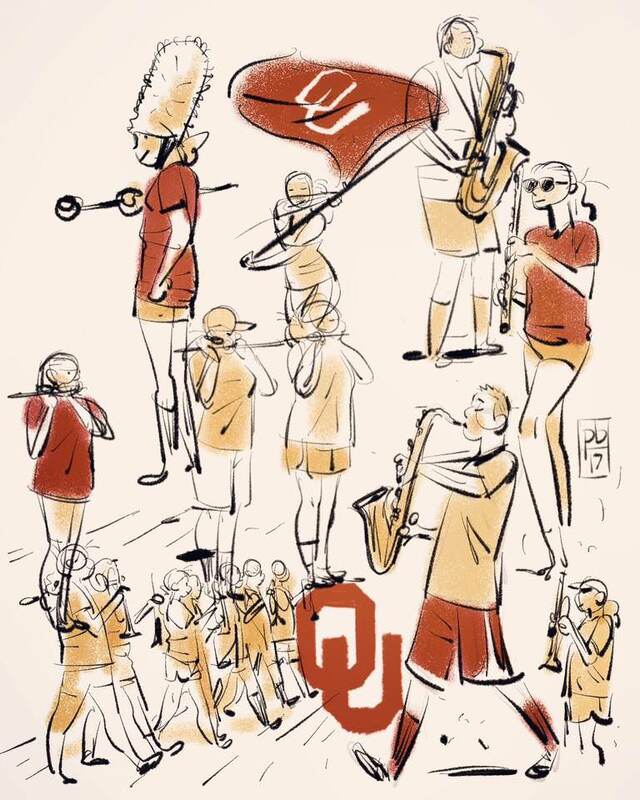 If you want to not only get a copy of this awesome sketch, but also help the Pride of Oklahoma, then go to this LINK and purchase your copy of the sketch. 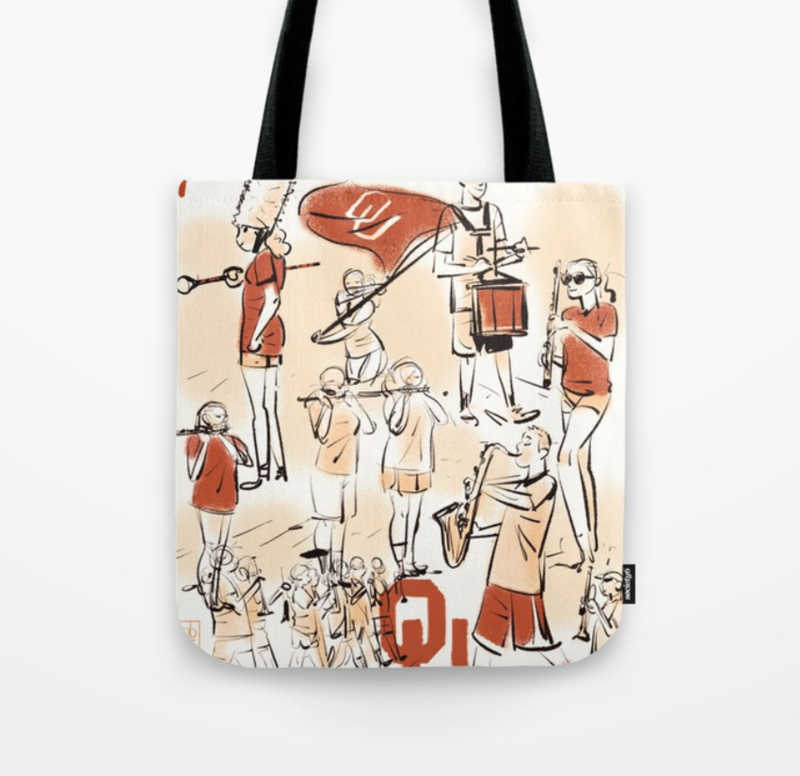 You can even get it on a tote bag! If there is a big Pride of Oklahoma fan in your life then they need this. College Marching is not getting any kick back from this, we just think it's super cool and want to help the Pride of Oklahoma in this fundraiser. We did ask Briggs to consider making an animated Disney movie about marching bands. So if it ever happens, remember you heard it hear first!